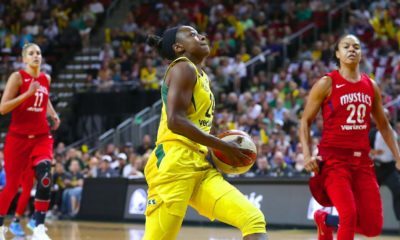 With the WNBA Playoffs set to tip off in less than a week, there was still plenty to be decided in the crowded standings entering Friday night’s action. 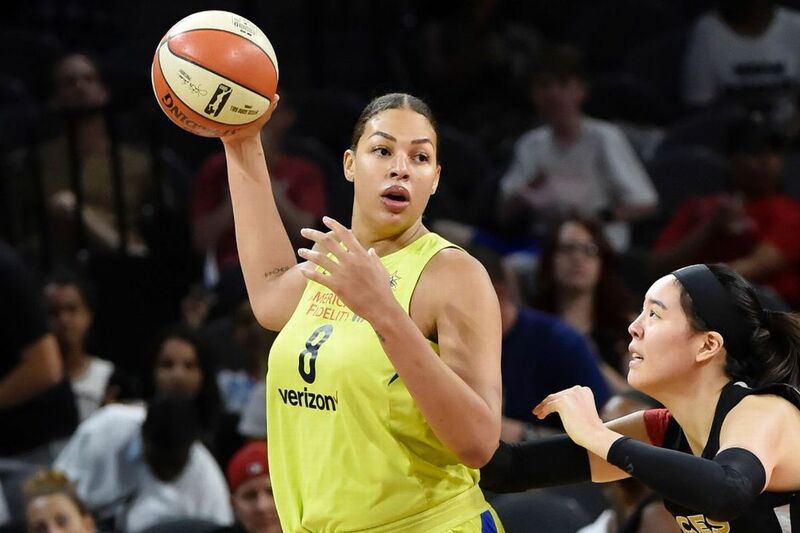 Thanks to huge nights from Liz Cambage and Breanna Stewart, two big playoff picture dominoes fell, and things got much clearer heading into the final weekend of the regular season. Power seems to be the only way to describe what Liz Cambage has been doing at the center position for the Dallas Wings all season long. It continued in what was the biggest game of the year for Dallas Friday night. Cambage racked up 43 points on 14-20 shooting to go with 13 rebounds, a double-double performance that the Wings needed every bit of to pull out a 107-102 win over the Las Vegas Aces. Entering the game, both teams had identical 14-18 records. The win allowed Dallas to lock up the eighth and final slot in the WNBA Playoff field. The Aces were eliminated with the loss. This showing only bolsters the MVP resume for Cambage. She became just the 15th WNBA player ever to score 700 points in a single season, and the first in Wings franchise history. Fellow All Star Skylar Diggins-Smith stepped up big for Dallas as well, scoring 23 points and grabbing 8 rebounds. The win was a much-needed one for the Wings, playoff implications aside. Dallas entered the game having lost nine straight. You had to go back to July 19th to find the last time the Wings were victorious. 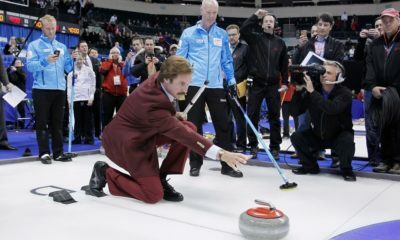 As a result, the door had remained open for the Aces to pass them for the final playoff spot right up until the season’s final weekend. Las Vegas was led by A’ja Wilson who scored 34 points and secured 7 rebounds. Kelsey Plum added 20 points and dished 6 assists in defeat. The Seattle Storm have been perched atop the WNBA standings for some time now. Thus, it came as a surprise when they started rather slow Friday night against the 7-win New York Liberty. Entering the fourth quarter, the Storm’s lead was a mere four points. While the final margin of victory wound up being just right, it felt like a lot more. Seattle shot 44.8% from three-point range as a team to come out with an 85-77 win over the Liberty to lock up the number one overall seed for the upcoming WNBA playoffs. Breanna Stewart had about as perfect a shooting night as a player could have. She finished with 22 points and 15 rebounds. Perhaps more impressive than those double-double final numbers was that she shot 6-8 from the floor, including 5-6 from three-point range. When that kind of shooting from deep is coming from your 6’ 4” forward, opposing teams don’t stand a chance. 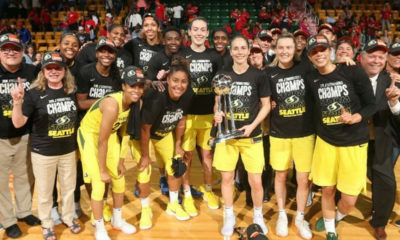 Sue Bird supplied 13 points (including 3-4 shooting from 3), 6 assists, and 5 boards to aid the cause, while Natasha Howard scored 12 points and grabbed 8 rebounds. With the number one seed now in hand, the Storm will receive a double bye to the WNBA Playoff semifinals. They will have home-court advantage for the five game semifinal series, as well as the WNBA Finals should they advance. Tina Charles was the leading scorer for the Liberty with 21 points. Kiah Stokes notched a double double of her own with 10 points and 15 rebounds. The WNBA regular season will conclude on Sunday with all 12 teams in action. Between the Storm (25-8) at the top and the Wings (15-18) in the 8 spot, there is still plenty of jockeying for seeding that will come down to this final day of games. The second double bye given to the two-seed is a battle between the Washington Mystics (22-11) and Atlanta Dream (22-11). The Dream fell to the Phoenix Mercury Friday night to drop into a tie with the Mystics, who edged the Los Angeles Sparks on this incredible buzzer beater by Natasha Cloud. The Dream own the tiebreaker between the two teams, so the Mystics would have to beat the Lynx and have the Dream lose to the Aces to leapfrog them for the 2 seed. Meanwhile, the Connecticut Sun (20-13) locked themselves into the 4 seed with last night’s win over the Minnesota Lynx. Even if they lose to the Sparks (19-14) on Sunday, the Sun own the tiebreaker between the two teams. 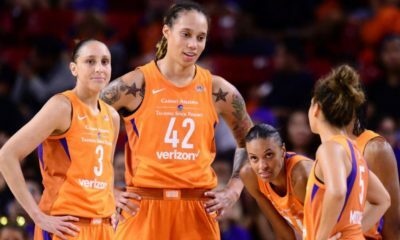 The Sparks will have to be on their game too, as a loss to Connecticut coupled with a Mercury (19-14) win over the Liberty would vault Phoenix up to the fifth seed and drop L.A. to number 6. Finally, the defending champion Lynx (17-16) are now locked into the 7 seed after Friday’s loss. They will play the lower seed, either the Mercury or Sparks in the first round, while the Wings will play the higher seed of those teams.